What is Jailbreaking an iPhone, iPad or iPod? 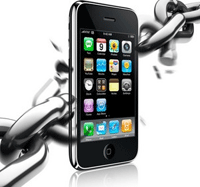 Jailbreaking or iOS Jailbreaking is a hack that allows full access or root access to the iOS operating system. Technically, its changing the root of the iOS, which is a flavor of Unix, to /. An iDevice (iPhone, iPad, iPod, Apple TV) is said to be jailbroken when the hack has been installed on it to get root access. Why Jailbreak an iPhone, iPad or iPod? Apple implements many restrictions and limitations on an iDevice. For instance, you can only install application via apple app store on an un-jailbroken iDevice. Once an iDevice is jailbroken, you can install and mod virtually anything on it. You can install third party apps, that are unavailable on the official app store, using installers such as Cydia. You can also modify or change the application icons, default wallpapers, shortcuts etc. on a jailbroken iDevice. Note that a jailbroken iDevice still functions like a normal iDevice. It can still access the official app store, iTunes etc. Its just that you can do a lot more on it. Its like rooting an android device. Is Jailbreaking an iPhone, iPad or iPod illegal? Jailbreaking your iDevice is 100% leagal in United Stated, under DMCA 2010. However, it voids your apple’s warranty. But you can reverse the jailbreaking process easily if you need to use the warranty! How do I Jailbreak my iPhone, iPod or iPad? The exact procedure to jailbreak your iDevice depends on the iDevice you have and the version of iOS you have installed on it. To find a guide to jailbreak your specific iDevice, just use the search box above, and search, like ‘Jailbreak iPhone 4’ and you will get a guide to do that. If you can’t find a guide to jailbreak your iDevice, then just contact us and we will publish it as soon as its available.